Let’s Spring into Action in Miami this March! From March 16-18, 2018, Miami is hosting what will surely be the must-attend event of the season for professionals of the T&I industry. Co-organized by the Association of Translators and Interpreters of Florida (ATIF), the Spanish Language Division of the American Translators Association (ATA), and Florida International University (FIU),* Spring into Action will be a three-day event featuring the internationally renowned speakers of Palabras Mayores, along with 25 terrific professionals hailing from different parts of the U.S. and abroad, who will be presenting on various topics. The four speakers of Palabras Mayores—Jorge de Buen Unna, Xosé Castro Roig, Alberto Gómez Font, and Antonio Martín Fernández—will guide us through the intricacies of the Spanish language, help us improve our technical knowledge of the language and brush up on our basic skills, and provide practical tips for writers and translators alike. The content will be relevant not only for translators, but also for interpreters, journalists, and basically anyone whose job is to communicate in Spanish. Spring into Action was designed to offer something for everyone. 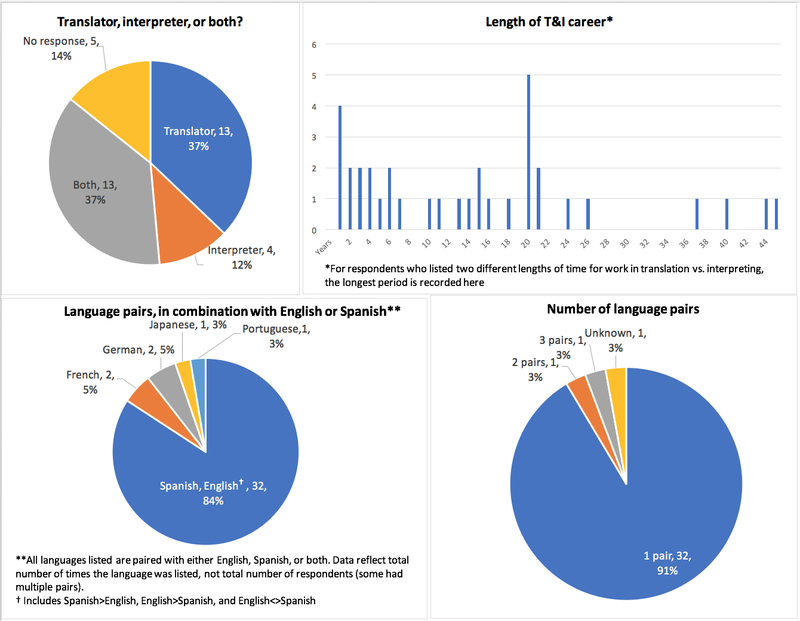 Even though Spanish is at the heart of the event, the conference is not geared exclusively toward practitioners working in the English/Spanish languages. 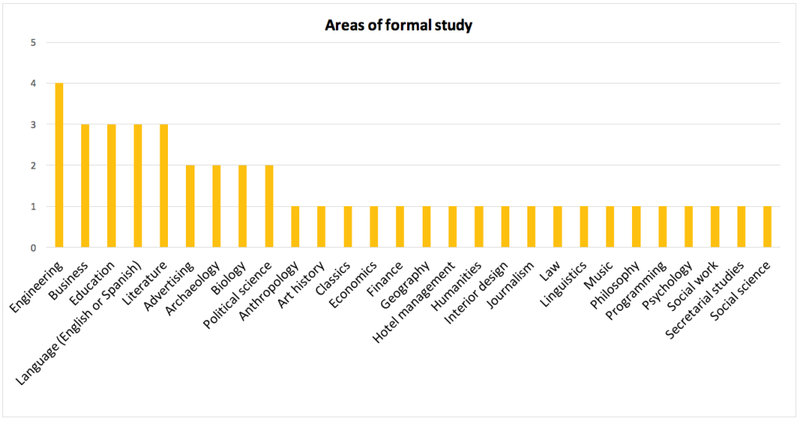 In fact, of the 35 sessions, almost half deal with topics that may be applicable to other language combinations, are language-neutral, or are suited for professionals working into English. The offerings are extensive, and attendees will have the opportunity to choose from as many as three sessions happening simultaneously in any given time slot. Interpreters will be delighted to see advanced workshops to hone their skills, while translators—and dare I say writers and journalists?—will be able to delve into the depths of grammar, terminology, and style, and will even have the opportunity to explore the growing (and controversial) field of post-editing. Check out the program to learn more about sessions and presenters to get you all fired up! Bright and early on Friday March 16, translators working in the EN>ES combination and interested in taking the ATA certification exam will have the rare opportunity to have their practice tests corrected by ATA graders at the ATA Certification Exam Workshop. Participants must sign up ahead of time as space is limited. 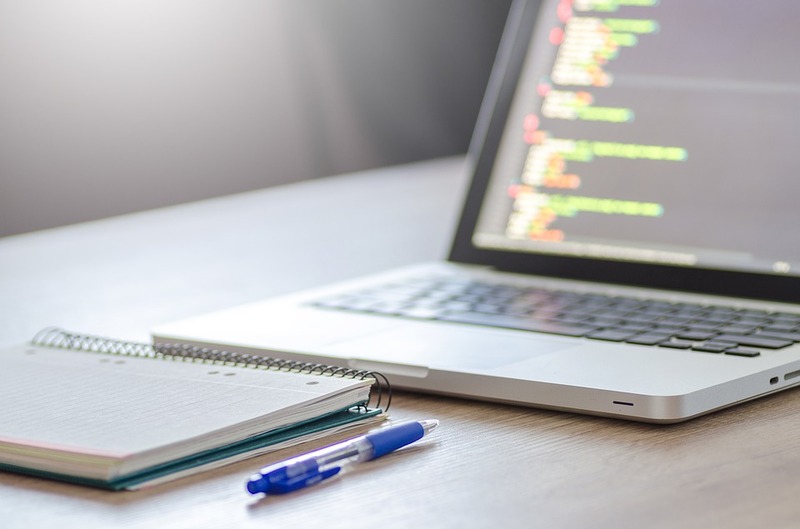 You will be asked to translate a 275-word passage and your hits and misses will be used anonymously to create the slides that will drive the workshop. Request your passage by writing to TallerEnMiami@gmail.com. They will send out as many passages as are requested, but only the first 20 translations received will be reviewed and used during the workshop. The first 20 people to send in their translations will be allowed to attend the workshop. This is truly a first come, first serve event! Registration: Open to all and quite reasonable. Despite the world-class level of this conference, it is extremely affordable and open to both members and non-members of the ATA. Early bird registration ends on January 30 and is priced at $175 for the general public. 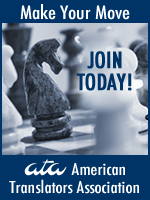 Interested in becoming a member of ATIF? Join and you will secure a $100 registration fee until January 30, in addition to a full year of benefits from ATIF. After January 30, registration increases to $250 for the general public and $175 for ATIF members. 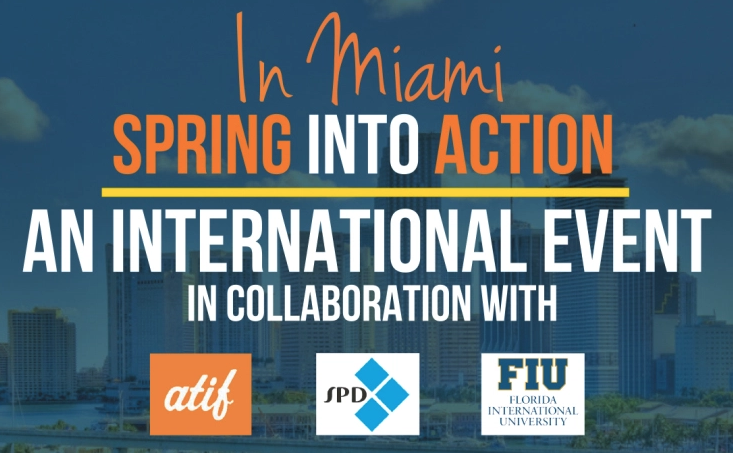 Spring into Action will take place at the Modesto A. Maidique Campus of FIU, and information about the venue and accommodations can be found on the event’s webpage. As if sessions and presenters (and affordability!) weren’t enough reasons, the attraction of Miami as a conference destination is undeniable. Tickets to Miami, a major travel hub, are usually very reasonable, whether you’re coming from anywhere in the U.S., South America, or even Europe, as some of our presenters are! Most airlines offer direct flights from major cities, so getting here is a breeze. Spring is a fabulous time to visit Miami—not too humid, not too hot. It’s perfect for exploring the Magic City and, of course, its beaches! Speaking of fabulous, in case you’re still reading this article and not over at ATIF’s website registering for the conference, let me casually mention the welcome reception. 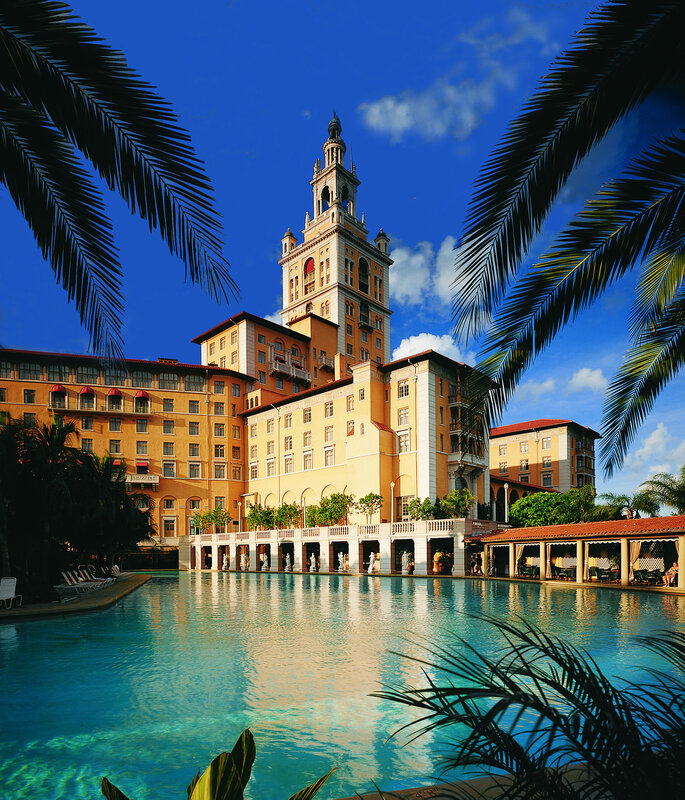 On Friday, March 16, after our first day of sessions, ATIF is inviting conference attendees to a swanky reception at one of Miami’s historical landmarks: The Biltmore Hotel. It will be the perfect backdrop to a perfect evening of relaxation and mingling with colleagues and friends. As I said: Let’s Spring into Action, and see you here in Miami! This year, Buddies Welcome Newbies celebrates its fifth anniversary, and as part of the celebrations, the team is introducing a few new surprises! After its debut in San Antonio in 2013, led by Helen Eby and Jamie Hartz, Buddies Welcome Newbies has grown to become a well-known event right before the Welcome Celebration of the ATA conference. Designed as an ice breaker for those attending the conference for the first – or even the second – time, it is the place to get your gears in motion, in a fun, comfortable way. Buddies Welcome Newbies (BWN) is a part of The Savvy Newcomer, where we are constantly innovating, and putting new ideas to the test. New this year is Jamie’s role as official leader of the BWN program, with yours truly in a supporting role. Based on our experience from previous years, we approached ATA Headquarters and suggested including BWN as part of the event choices in the registration form, instead of having a separate link, page, etc. Fast forward to now and the results are amazing: More than 300 attendees registered as of today! However, if you missed that one question during registration, and are interested in being a part of this event, do not despair! We will be happy to send you a link to register. Just send us an email at atasavvynewcomer@atanet.org, and we will get back with you. Another novelty this year is the unveiling of our new seasonal blog ATA Conference Newcomer Blog, packed with resources for newbies and buddies alike. We thought waiting until Wednesday the 25th to share the myriad of things we want to tell you was kind of mean, plus, we could not possibly do it in 45 minutes! So, check it out, if you have not done so already, and be sure to leave us a comment to let us know how we are doing. Also new in this fifth edition of Newbies Welcome Buddies is the opportunity to earn 2.0 CEPs by participating as a Buddy! But, as the saying goes: “Don’t fix it if it ain’t broke,” so the core of the BWN event continues to be the same. Attend the wrap-up session on Saturday October 28, for even more great information on what to do next and to hear presentations from guest speakers. Pretty simple, huh? Yet, very powerful, as it can make a big difference in the life of new conference attendees, and who knows, maybe make a friend or two in the process.Of course, we have a few more surprises up our sleeves so you will have to come to both the opening session and the wrap-up to see the magic for yourself! See you soon in D.C.! Anne Goff is currently writing a book on networking for introverts. She has an MA in French>English Translation and a BA in French. 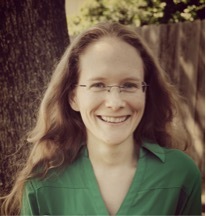 She translates legal texts and particularly enjoys helping adoptive families bring their children home. She has lived in countries with red, white, and blue flags—France, the UK, and the US. 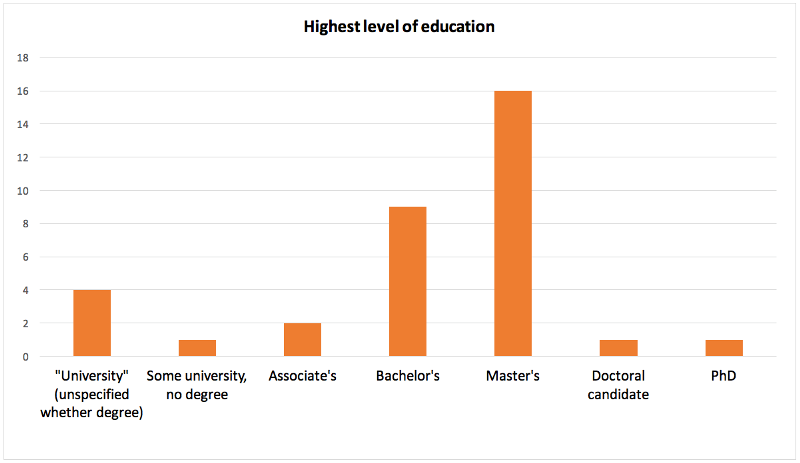 When not translating, writing, or introverting, Anne teaches French at university and speaks about networking and business for the non-extraverted. Contact her: anne@aegtranslations.com, http://www.aegtranslations.com. Enter to win a free copy of Anne’s upcoming book on networking for introverts. Send her an email with “I’m interested in your book!” in the subject line.